Images credit & copyright: SpaceX & Elon Musk. Launch Alert! 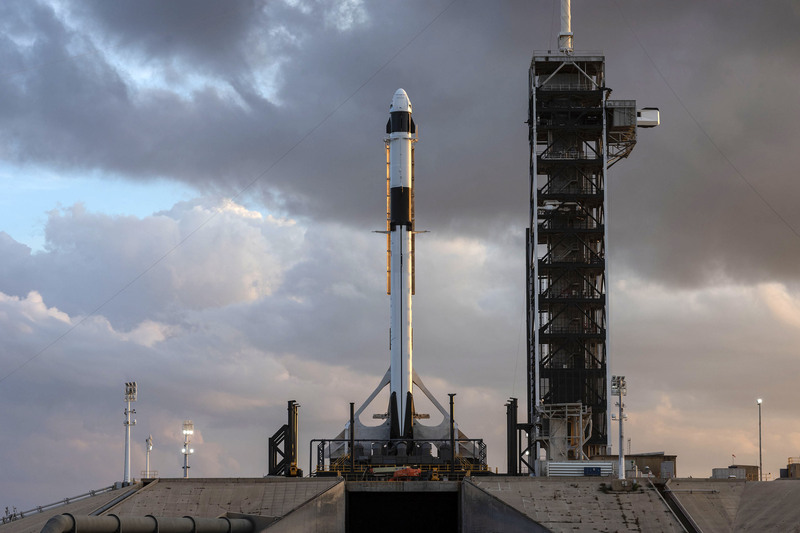 : Thursday, April 11, 2019, at 18:35 EDT (15:35 PDT & 22:35 UTC) SpaceX will be launching their massive Falcon Heavy (F9H) from Kennedy Space Center, Launch Complex 39A (LC-39A) carrying the Arabsat 6A communication satellite for Arabsat of Saudi Arabia. This will be the second launch of the Falcon Heavy and the first flight of their Block 5 iteration. This flight will use three new unflown block 5 boosters. The center booster will be core (B1055.1) the port (left) booster is (B1052.1) and the starboard (right) booster is (B1053.1). With 22,819 kN (5.1 million lb.) 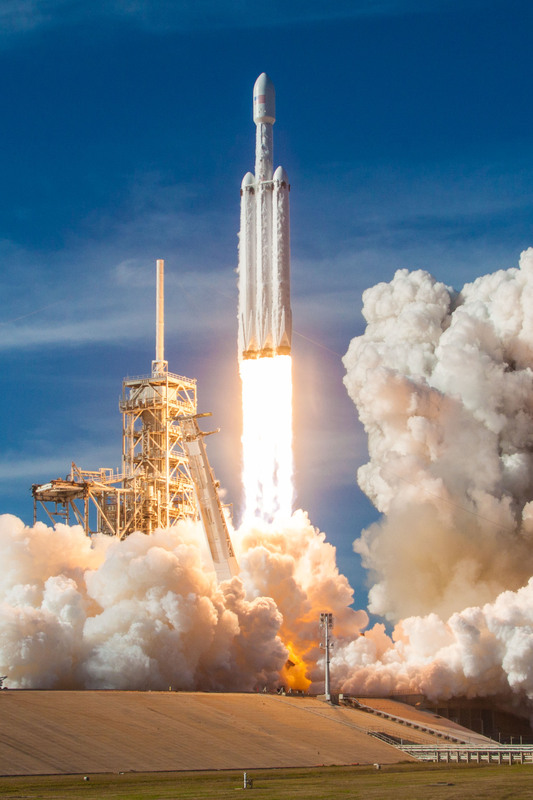 of thrust at liftoff, the Falcon Heavy is the most powerful rocket since the Saturn V. With no “asparagus staging” propellant crossfeeding, instead the core booster will throttle down to preserve fuel while the port and starboard boosters do most of the initial lifting. After separation, the core booster will throttle back up for completion of its mission. Stats: This will be SpaceX’s 4th launch of 2019 and the 76th SpaceX flight overall (5 Falcon 1, 69 Falcon 9, 2 Falcon Heavy). 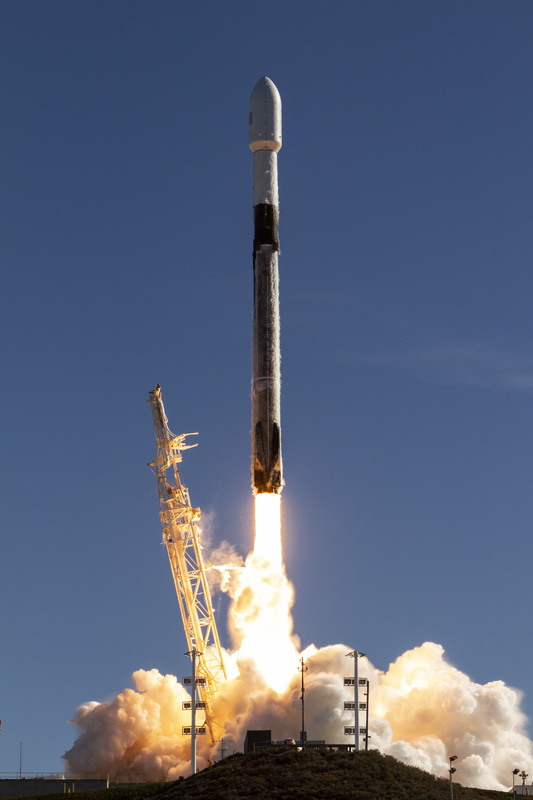 Mission parameters will allow for two boosters (port and starboard) to return to Landing Zone 1 (LZ-1 & former SLC-13) at Cape Canaveral while the core booster touched down on SpaceX’s East Coast Autonomous Spaceport Drone Ship (ASDS) “Of Course I Still Love You (OCISLY)” which will bring to total successful landings to 38; 23 on drone ships and 15 on land. 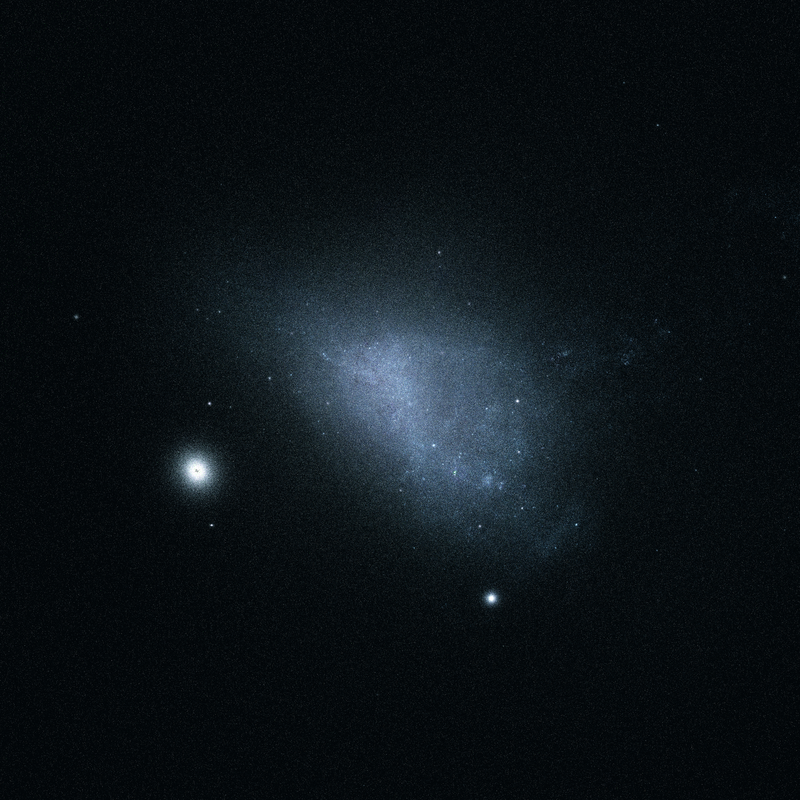 Images credit: 1st image; NASA/ESA Hubble Space Telescope. 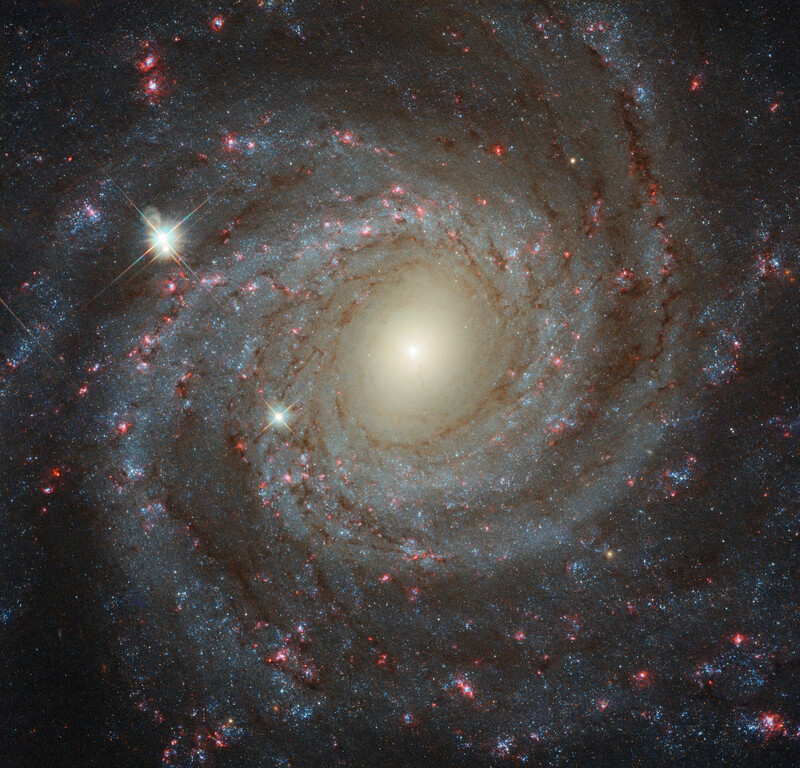 2nd image; ESA Gaia data. 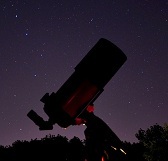 The southern globular star cluster 47 Tuc has been labeled as the “Jewel of the Southern Sky” and for good reason. With an apparent magnitude of 4.9 this cluster is easily visible without visual aid and is second only to the great Omega Centauri in size and brightness. In dark skies this 120 light year diameter mass of a few million stars can be as large as the full moon on the night sky. Radiation detection data rendering of the Small Magellanic Cloud (SMC) and 47 Tuc by ESA’s incredible Gaia spacecraft. 47 Tuc is visually positioned alongside one of the Milky Way’s two major satellite galaxies, the Small Magellanic Cloud (SMC). The SMC, at a distance of 210,000 light years is much further away than 47 Tuc though it helps make for an incredible view. 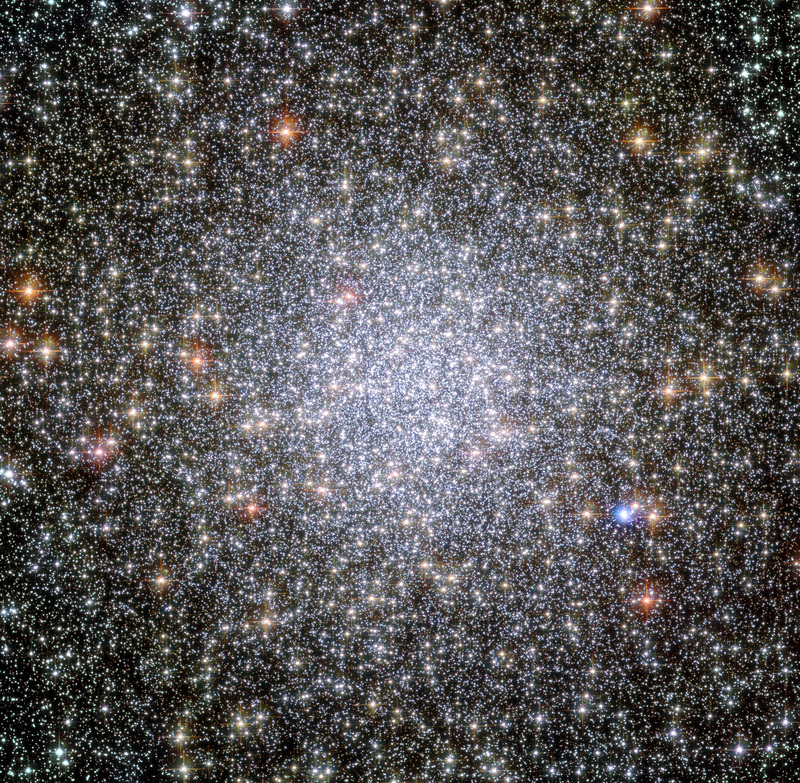 In total, the Milky Way boasts somewhere in the neighborhood of a couple hundred globular star clusters, almost all of which reside in the halo above and below the galactic plane but if you expand this image and look beyond 47 Tuc, you can see that the SMC has numerous globular and open star clusters of its own. 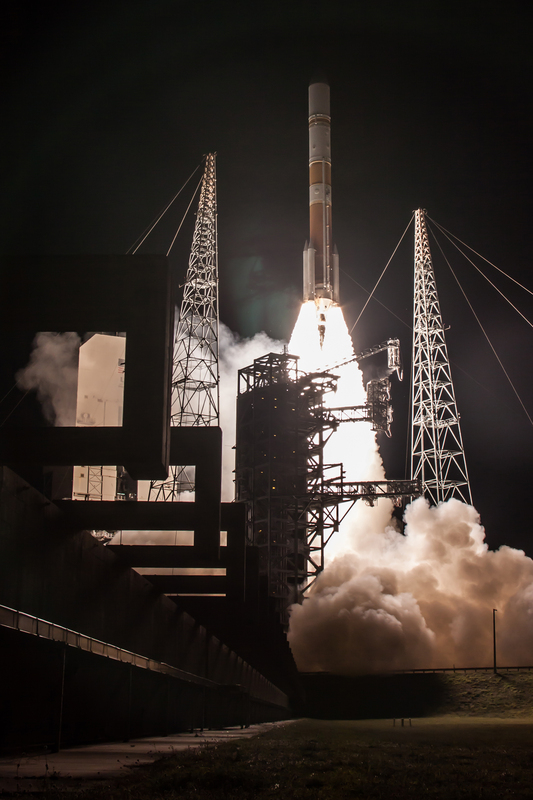 LAUNCH ALERT: Friday, March 15, 2019 at 18:56 EDT (22:56 UTC) the United Launch Alliance (ULA), will be launching a Delta IV rocket in its Medium + (5,4) configuration carrying the 10th Wideband Global SATCOM (WGS 10) spacecraft (formerly the Wideband Gapfiller Satellite) for the U.S. military. Images credit & copyright: Roscosmos/NASA. 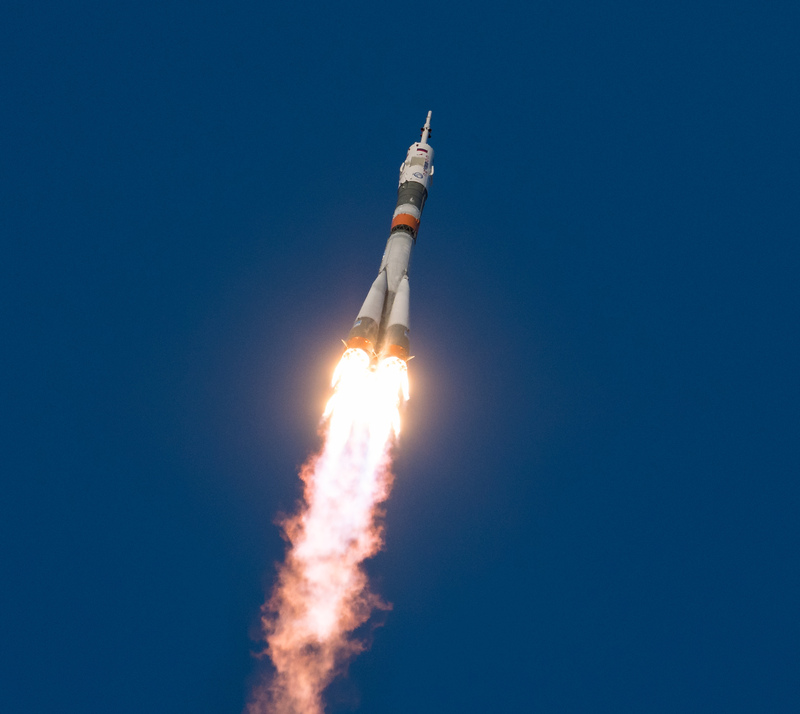 Launch Alert: Thursday, March 14, 2019 at 15:14 EDT (19:14 UTC) a Soyuz-FG rocket; MS-12 (ISS 58S or Soyuz 60) will lift off from Launch Pad 1/Launcher 5 (LC 1/5) at the legendary Baikonur Cosmodrome in Kazakhstan. The Soyuz spacecraft will carry three crew members of Expedition 59/60 on a four-orbit, six-hour “fast track” trip to the International Space Station (ISS). This will be the 12th flight of the upgraded MS Soyuz which replaced the TMA version and the 2nd flight since the failed launch of MS-10. Soyuz MS-12 will dock to the nadir, (Earth facing) port of the Russian, Mini Research Module-1 (MRM-1) Rassvet “Dawn” module where it will remain there for approximately 6 months as a crew escape vehicle should they need it and ultimately a return vehicle. NOTE: NASA Astronaut, Nick Hague will be on this flight just 5 months after flying on the failed MS-10 mission that disintegrated in flight. Images credit & copyright: SpaceX and NASA. LAUNCH ALERT! 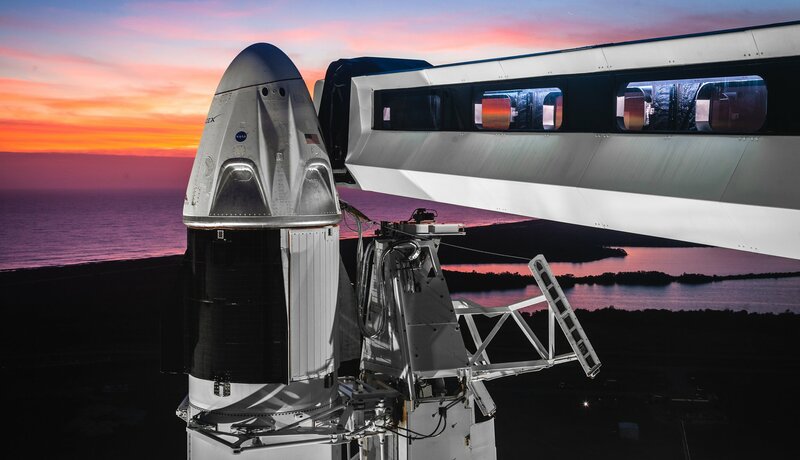 Saturday, March 2, 2019 at 02:48 EST (07:48 UTC) SpaceX Falcon 9 (core 1051.1) will be launching from NASA’s legendary Launch Complex 39A (LC-39A) at Kennedy Space Center carrying, for the first time, SpaceX’s Crew Dragon spacecraft (Dragon D2-1 or C201) as part of Demonstration Mission 1 (DM-1) for NASA’s Commercial Crew contract. This first of two demonstration missions to the International Space Station (ISS) will be uncrewed and if successful an in-flight abort test with the same spacecraft will take place this summer and if that succeeds then DM-2 will likely follow later this year and be the first to carry astronauts (Doug Hurley & Bob Behnken) into space from the United States since the launch of STS-135 Atlantis, which launched from the same launch pad on July 8, 2011. This will end the longest drought in U.S. human spaceflight history. The longest drought prior to this was the gap between the landing of the Apollo-Soyuz Test Project on July 24, 1975 and the first launch of the Space Shuttle, STS-1 Columbia on April 12, 1981. 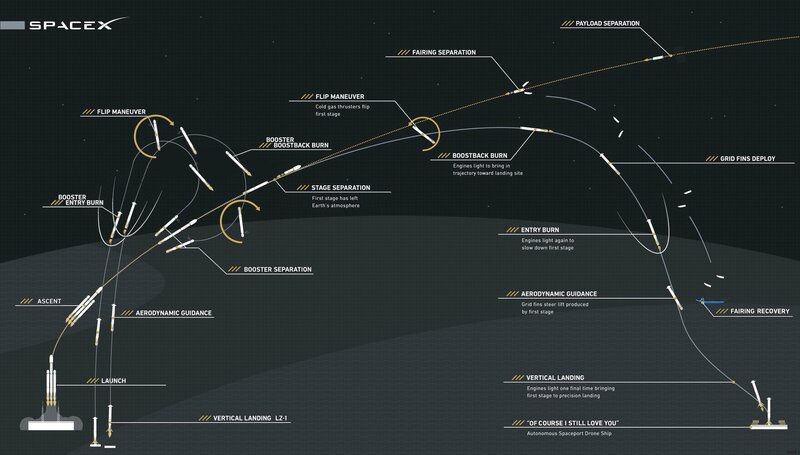 The timeline for this mission calls for launch from KSC and booster landing on March 2 (Sat), with rendezvous and autonomous docking to Station taking place on the 3rd (Sun) where Dragon will deliver roughly 400 pounds of supplies and a “Starman” in full SpaceX flight suit for monitoring. 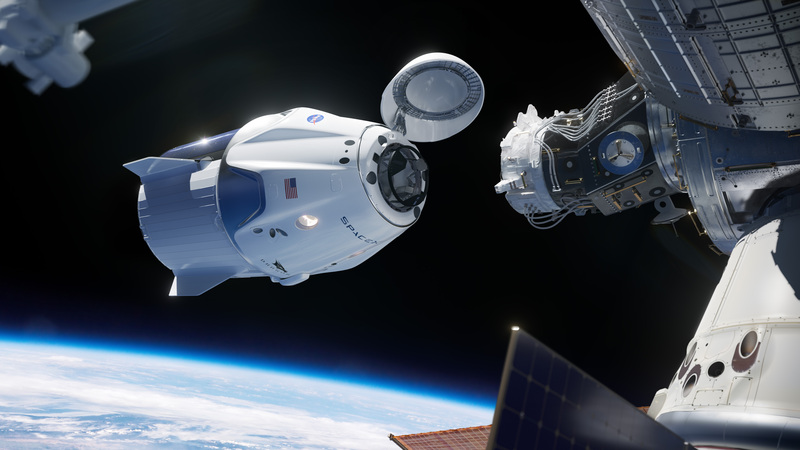 Dragon is scheduled to remain at station until March 8 (Sat) when it will undock, deorbit and splashdown to complete a successful mission. Stats: This will be SpaceX’s 3rd launch of 2019 and the 75th SpaceX flight overall (5 Falcon 1, 69 Falcon 9, 1 Falcon Heavy). 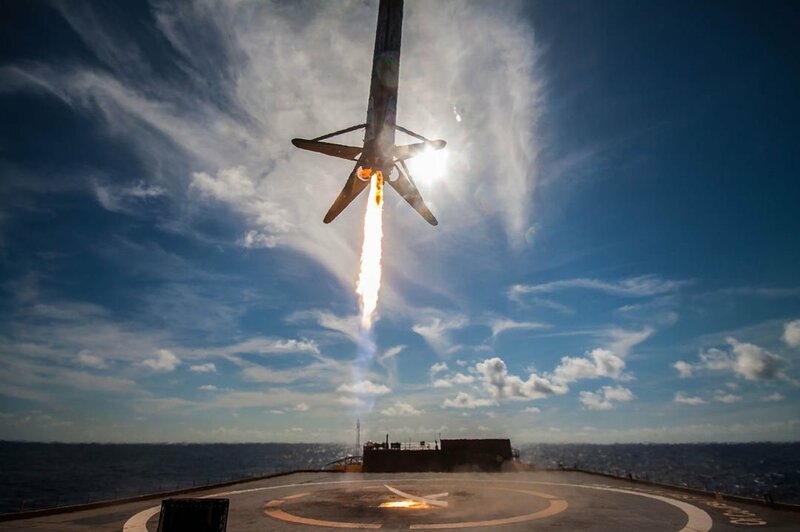 Mission parameters will allow for a landing on SpaceX’s East Coast Autonomous Spaceport Drone Ship (ASDS) “Of Course I Still Love You (OCISLY)” which will bring to total successful landings to 35; 22 on drone ships and 13 on land. LAUNCH ALERT! Thursday, February 21, 2018 at 20:45 EST (01:45 UTC on the 22nd) SpaceX Falcon 9 (core B1048.3) will be launching from Cape Canaveral’s Space Launch Complex 40 (SLC-40) to deliver the Nusantara Satu communication satellite as well as the U.S. Air Force Research Laboratory’s S5 space situational awareness satellite and SpaceIL’s lunar lander known as Beresheet. This will likely be the first time a twice flown Falcon 9 has launched from East Coast and the first launch of a commercial lunar lander. Stats: This will be SpaceX’s 2nd launch of 2019 and the 74th SpaceX flight overall (5 Falcon 1, 68 Falcon 9, 1 Falcon Heavy). 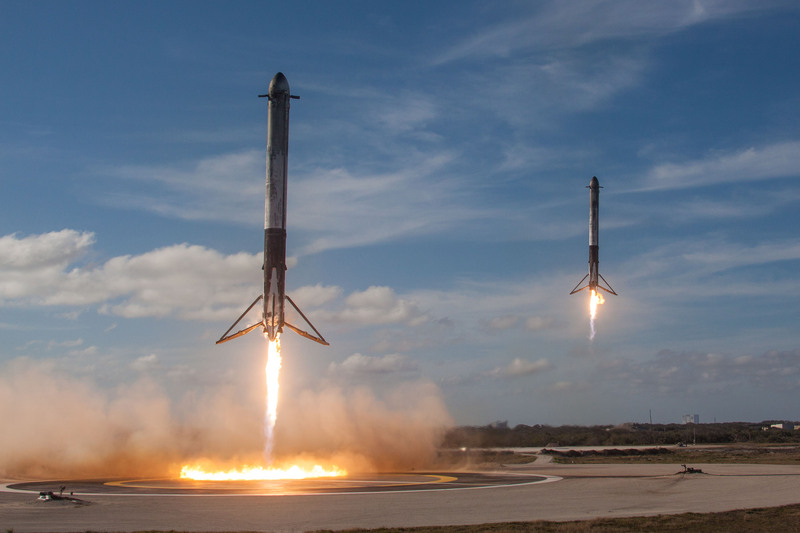 Mission parameters will allow for a landing on SpaceX’s East Coast Autonomous Spaceport Drone Ship (ASDS) “Of Course I Still Love You (OCISLY)” which will bring to total successful landings to 34; 22 on drone ships and 12 on land.